-From a bear who’s headgear attracts some unlikely comrades. -Finally, a blue octopus whose outlook on life doesn’t match his color. If Bear (from the Bear and Mouse series) had a persnickety distant cousin, I’d wager it’d be Mr. Brown, who rather keep to himself, but expresses it via body and language and stern looks to onlookers versus his more verbally charged ursine counterpart. He takes great pride in his signature hat, which is over three times taller than the furry chap who’s wearing it! One day, Mr. Brown is alarmed to find a flock a birds have taken roost in his prized hat, from there chaos ensues as Mr. Brown’s attempts to be rid of the feathered fiends proves more and more futile, and inadvertently creates his town’s latest fashion craze. By this point, Mr. Brown finds himself quite fond of his loyal flock. As the days went by, and the seasons changed, the bear and his hat-nest of birds grew that little bit closer. When the birds fly south, Mr. Brown sinks into despair, just when he finally had friends he at first didn’t know he wanted, they’ve left as abruptly as they had first arrived. Will the fine-feathered flock return to Mr. Brown and his fantastic headgear home? Ayano Imai’s artwork immediately drew me to this book. While picture books are famous for bright primary colors or flamboyant pastels, it’s a nice change of pace to see a more subtle and muted palate of earth tone colors and thoughtful plays with light and shadow at play in this book. If you loved the more muted tones common in Maurice Sendak’s books, this book continues that tradition. “Mr. 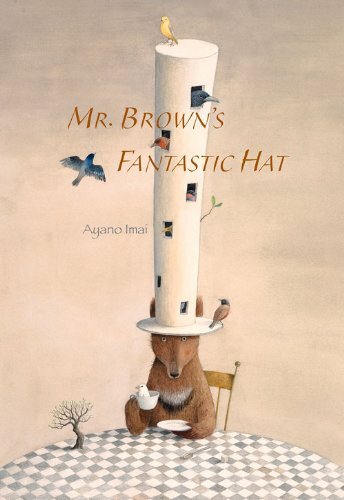 Brown’s Fantastic Hat” is more then what the title first suggests, it’s not just about a loner bear and his best hat, but also how new friends can enter our lives in abnormal ways, and a gentle reminder not to take friendships (however short-lived) for granted. There’s something about cities in books that have this transcendent quality, be they real such as Chicago, Paris, and New York City. The city in this book serves a visual metaphor of how lost one can feel in the place you call home. 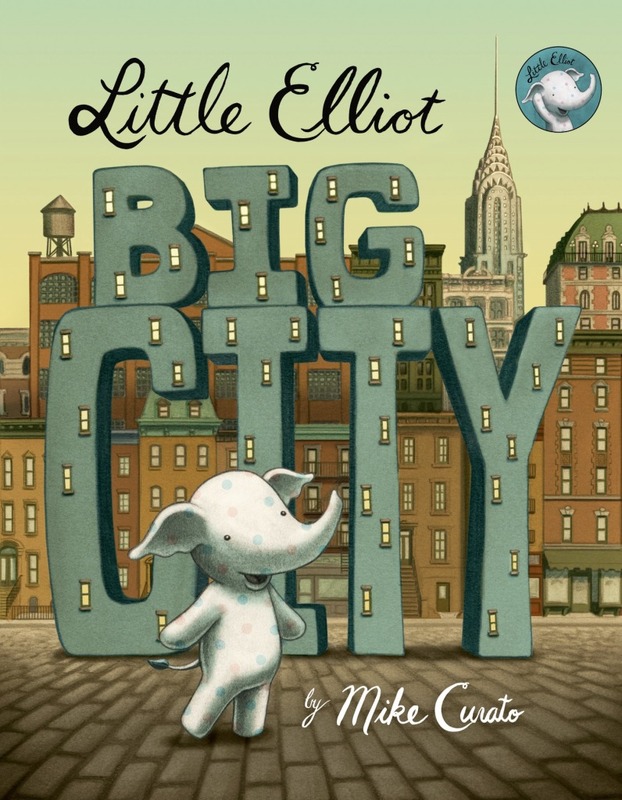 Elliot is a little elephant feeling all too small for his big city home, even home life is tricky to manage when even famously “Mini” New York City apartments are BEYOND roomy if your Elliot’s size. When Elliot goes out, he’s always dodging crowds of native city dwellers, tourists, street vendors, the list goes on, even buying a “Cheer Me Up” cupcake is trial in adversity when you can’t even reach the sales counter. One day, Elliot helps someone even smaller than him out of a tight spot, what happens next will make Little Elliot’s BIG CITY world get a lot smaller, in the most pleasant sense of the world. On this note, I have to digress a bit, but it is in relation to this book. When I first discovered Mike Curato in a very unorthodox way. I was (BRIEFLY) considering self-publishing my middle grade novel “GABRIEL” when I was have little success enticing agents, and when I was last and active member of SCBWI (The Society of Children’s Book Writers and Illustrators), I was searching an index of illustrators, and Mike Curato was one of the first who caught my eye. I think I might’ve seen an early concept of a scene in “Little Elliot BIG CITY” though I didn’t know that then. All in all, “Little Elliot BIG CITY” is another solid book in a long running tradition of city tales with stunning art and reminds us all why cupcakes are ALWAYS in our hearts and bellies, whether they’re trendy or not. Period. Or what do you like about both trailers? 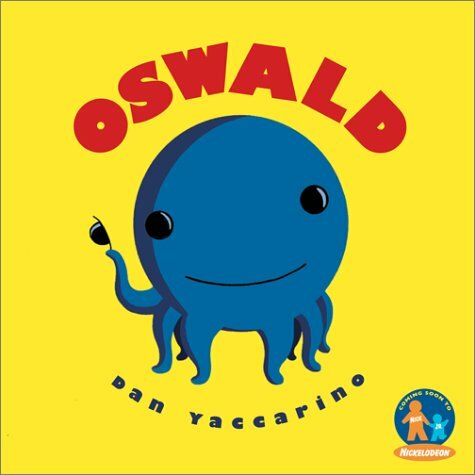 I’m one of those folks who LOVES origin stories well told, and for old and new fans of the animated series, this book is essentially the origin story of not only Oswald and Weenie’s arrival, but almost every friend and neighbor we meet on the show. Sadly, it’s out of print, but worth hunting down (Special Thanks to The Bookbeat for having the copy I bought weeks back), but you can get the audio version on Audible, which is a bit since for picture books visuals are over HALF the experience, but at least it’s easily available and used copies of the book can be as high as 80 USD, but I got my copy for WAY less, so keep hunting, and see if you library has a copy. Thankfully, the show still lives on via streaming and digital download, and if you weren’t a kid (or had them back when the show debuted in 2001) go watch it, there are few programs with the kind of gentle charm that’s organic and unabashedly comforting. “KidLit TV” a new joint multimedia initiative created by the kidlit community, for the kid-lit community, launching November 2014, T.A.A. will bring you more info as it nears launch. 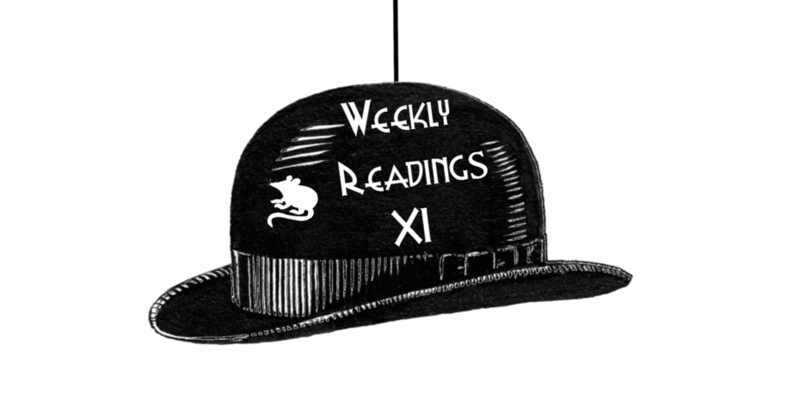 That’s all for Weekly Readings. See you next time!